Happy GURPSDay, folks! Get out there and enjoy the weekly bonanza of GURPS goodness. 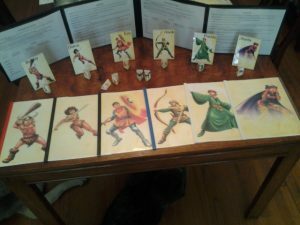 Since last week’s post on a Presto-inspired magic system, I’ve gotten a few questions via the Discord server and email about the convention game it was written for, so I thought this week I would share the notes and characters from that game. I hope you enjoy, and maybe run it for your own groups. 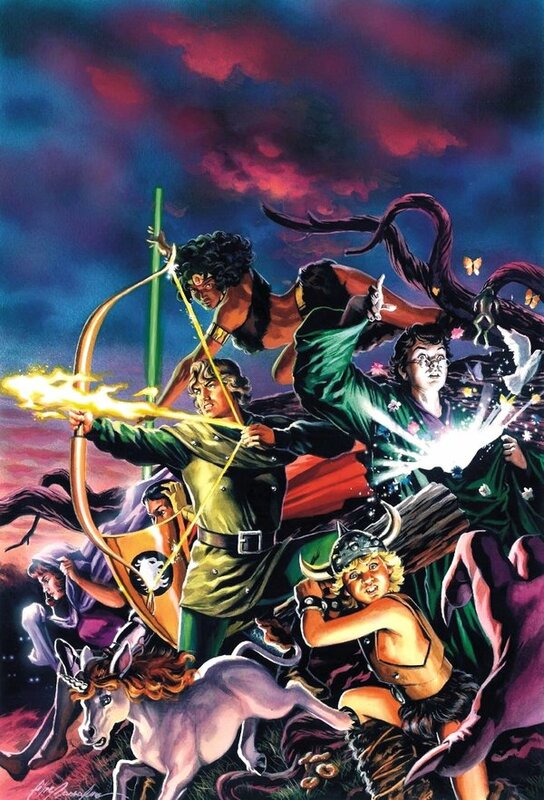 Because I am such an “eat-breathe-sleep GURPS” guy, it is sometimes assumed that I don’t like Dungeons & Dragons… which is true, because I love Dungeons & Dragons! Long before GURPS, I was an “eat-breathe-sleep D&D” guy, and still have nothing but love for it. Since the invariable question of “Which edition is your favorite?” will arise, I’ll say that I’ve played at least one game under every edition, but AD&D 1st Edition remains the apple of my eye. 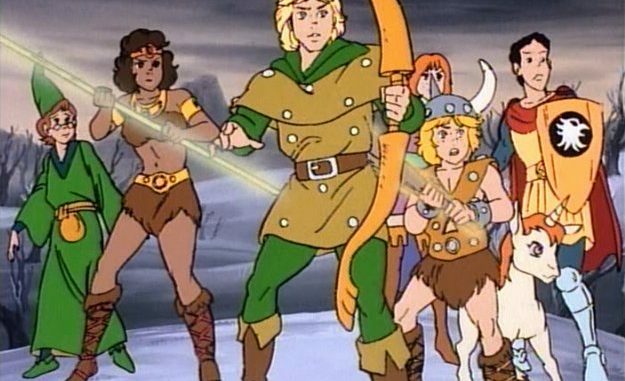 Back in the halcyon days of the mid ’80s, one of the high points of my Saturday mornings was watching the old D&D cartoon. It wasn’t really good, exactly… but it was D&D, and it wasn’t bad, and it was on TV! Great stuff, and fond memories. Anyway, there was a script written for the final episode, entitled Requiem, that was sadly never produced. Thanks to the fine folks at the Dungeons & Dragons Cartoon Encyclopedia, you can read the script here. I won’t mention any spoilers in case you want to enjoy it yourself first, but suffice to say I thought it would make a very fun GURPS game or three for the Gateway 2013 convention (and it really did, everyone had a great time). If you run this adventure, I’d love to hear how it goes! Right now, I’m gearing up for Orccon 2017. I had a number of thoughts on what to run, but looks like it’s going to be another GURPS Bunnies & Burrows game (like “Some Bunny Needs You,” from Gateway 2014), in honor of the passing of Richard Adams. Naturally, in the coming weeks I’ll add a post on it to the Adventure Creation series. Until then, I hope you enjoy one final confrontation with Venger! Will Bobby, Diana, Eric, Hank, Presto, and Sheila ever make it home? Do they even want to? As someone who started with D&D, still finds D&D curiously enjoyable, but loves GURPS the most, this article is surprisingly relevant to me! I played in your original game in 2013. I was presto. Loved it. One of my favorite gurps sessions of all time. Yes! Hiya, Angelo… that was indeed a great game (and you, a great Presto). I think it was! I seem to recall a lot of enemies “accidentally” attacking one another trying to get Sheila. I do remember the default Sheila. That truly was a game I shall cherish. I just remember role playing presto was so fun. Trying to make a rhyme EVERYTIME I cast a spell was the highlight for me. I would pay to do some more adventures. I was always cranky when it comes to D&D. I saw an ep or two of the cartoon. I wasn’t a fan. You’re right. It’s on TV and was D&D… sort of. The group I was in at the time NEVER saw the DM as an entity.